Our professional staff of technicians and 16 service lifts enables us to get you and your car up and running as quickly as possible. However, because it is impossible to judge the exact nature of the problem from a phone call, we can only provide estimates after carefully examining your vehicle. We welcome your questions and will be delighted to make an accurate diagnosis. Ralph’s Transmission has believed in A Commitment to Quality Since 1969. For this team, it’s more than just words. They stand behind their promise to provide higher standards of transmission service. When you bring your car into Ralph’s Transmission, their goal is to get you safely back on the road. That is why they offer an unheard of 3 year, 100,000 mile warranty on all transmissions that they rebuild. Any make, any model—if your automobile’s transmission is rebuilt by the diagnostic experts and experienced mechanics at Ralph’s, you can rest assured knowing it is backed by this exceptional warranty. Ralph’s transmission warranty covers all parts and labor for up to 3 years or 100,000 miles after the rebuild is complete. They can offer this warranty because they specialize in transmissions. They offer unique knowledge, insight and experience that enables them to detect problems and then repair them with specialized expertise and attention to detail. They thoroughly inspect every single part and rebuild the transmission from the ground up to make sure it is working properly. Then, they run it through a series of tests to optimize your transmission¹s performance. 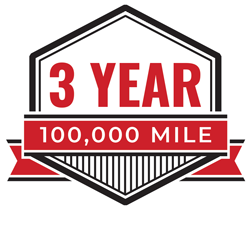 When you combine the specialized knowledge of Ralph’s Transmission with this incredible 3 year, 100,000 mile warranty, it’s easy to understand why so many people throughout Modesto and the surrounding Central Valley communities count on the Ralph’s name for expert transmission repair and service. For more information about the warranty, contact Ralph’s for a no-obligation consultation.